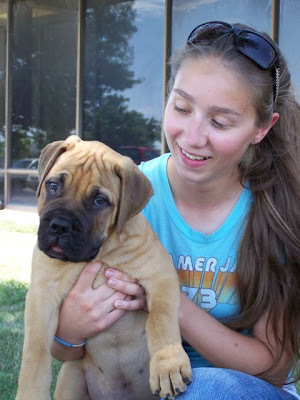 For quite a few years now, we have had Bullmastiffs. Our journey into the Bullmastiff world started when some friends of ours gave us a female named Harmony. Click here to see her - Harmony . When we moved to Oklahoma in the summer of 2008 we brought 5 Bullmastiffs with us. That first summer here we lost Harmony to a really fast moving case of bloat. It was a very sad loss. 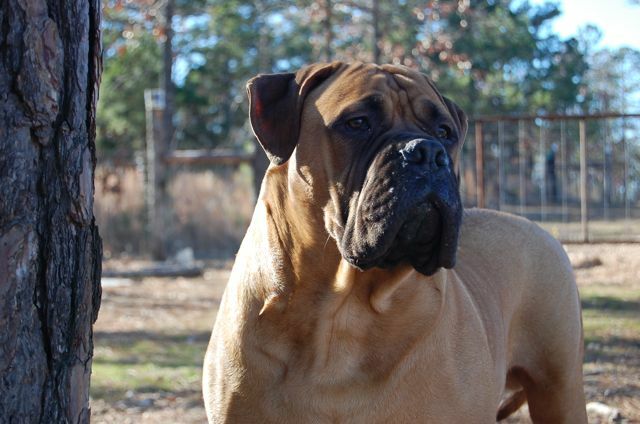 Since then we have lost 2 more of our beloved Bullmastiffs but, also added in another one. 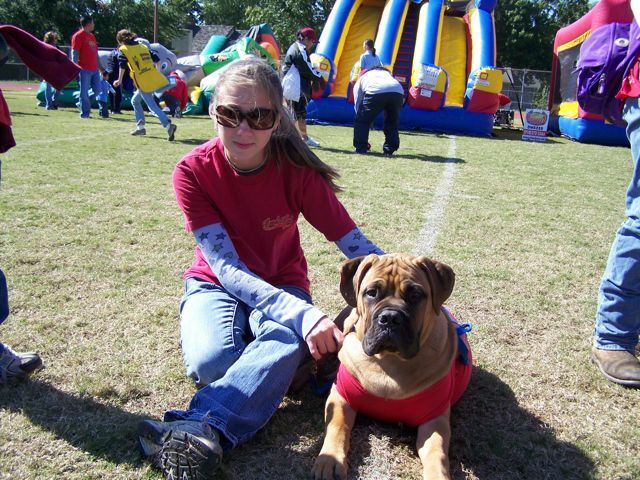 More info about our crew can be found at my daughter's website - Regards Bullmastiffs . You can read about Bow here - Our Beloved Bow. The Bullmastiffs add a specialness to our household. My son likes to pet them, go on walks with them (and his sister) and sometimes even bath them. Although it appears that most of our breeding days are behind us at the moment, she does keep up a blog about the newest Bully we have - The Adventures of Canuck . I am hoping that she will be able to show him and get his championship title. Here is Canuck when we first got him, then a pic of him a little older and the last is Canuck at one of the Tulsa Down Syndrome Buddy Walks.